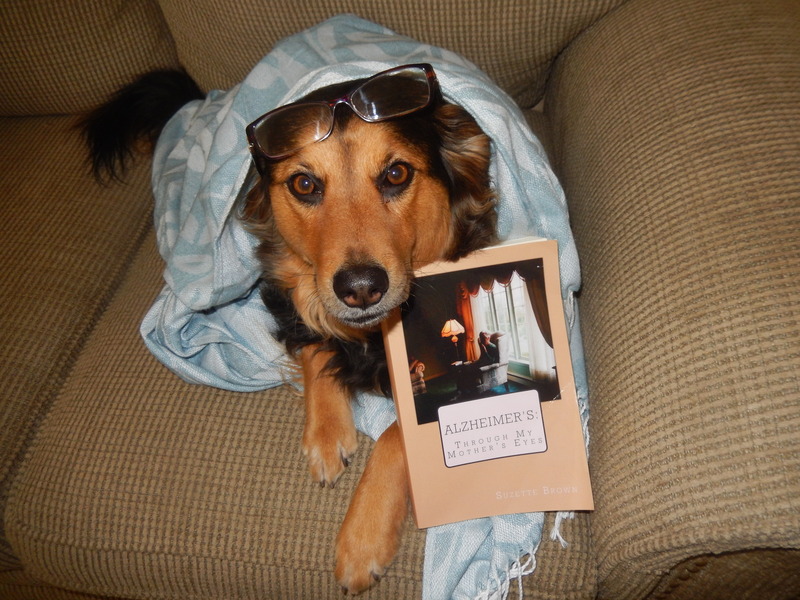 Flower, snuggled up on the couch reading her Mom’s book, “Alzheimer’s Through My Mother’s Eyes”… | "Alzheimer's: Through My Mothers Eyes"
Our Therapy Dog International, Flower, checking out her Mom’s book, “Alzheimer’s Through My Mother’s Eyes. Posted in Uncategorized and tagged #alzforum #alzchat, #Alzheimers, #Alzheimers #caregiving #caregiver #caregivers #author, #author, #caregiver, #caregiving, #family, A place for mom, Alzheimer, Alzheimers chat, assisted living, Blog, Blurb, book, Caregivers, dogs. Bookmark the permalink.